Foyle’s Book Search is a unique app that enables customers to find the location of a physical book within the confines of Foyle’s Charing Cross bookstore. In the mean time read my recent hit and very well received feature for the New York based Publishing Perspectives in full below or by following this link. Imagine walking into a large city centre bookshop and, for the first time, and because of an app being able to quickly and easily find the book that you want without having to wait to talk to anyone. Imagine too that a year after this ground breaking app makes headlines for the bookshop, shifts more books (although the figures are confidential) and has won one award – and was up for two others – that its immediate future seems to be shrouded in secrecy and, for its creators, the future of the concept may well lie more on continental Europe than on the Charing Cross Rd. Yet this isn’t the storyline of a bestseller, but fact, as London’s world famous bookshop Foylesdoesn’t want to be drawn on the future of its revolutionary app just two months ahead of the launch of its 4,300 sq. ft. new flagship ‘digital’ store in Birmingham – the kind of size of store that this app would seem ideal for. Foyles was founded in 1903 and is once again an ambitious company with five – soon to be six – bookshops located largely in London. Its flagship store on Charing Cross Rd. once made it into the Guinness Book of Records as the world’s largest book shop before Foyles moved to a new location a few doors away last year. In September this year it opens a new flagship store in Birmingham for the first time in its history. Foyles Book Search is the UK’s first in-store digital search facility with Google maps style navigation. Last month Foyles and White October (the agency behind the app) won The Stationers’ Company Innovation Excellence Award for the browser based app still in beta that can be used on any platform. Fast and accurate, it opens in your browser without the need to download anything and is capable of instantly searching for and locating a single book out of the over 200,000 titles over eight floors that Foyles on Charing Cross Rd. typically has in stock. Unfortunately it is the only store that is known to have mapped all of its products to shelves. According to Simon Heafield, Head of Marketing at Foyles and one of the few people left at the chain who helped to develop the app, “the catalyst” for it was the move of their flagship store last year. “It provided us with a unique opportunity to reimagine what a bricks and mortar bookshop should be like in the new retail landscape and to incorporate digital innovation into the space. Without that is detracting from the experience of being in a fantastic physical bookshop as it allows them in a novel way to navigate the physical space. For Dave Fletcher, founder of White October, the customer they had in mind when they designed it was the casual visitor to the store who might wander in and out without talking to anyone – or more importantly, buying any books. It was a quite a unique experience, he admits, as there were so many products packed into a new space. The biggest challenge was to integrate the app with the stores own inventory. 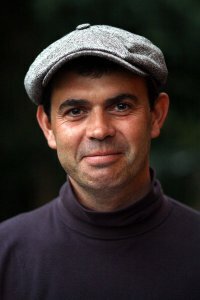 Neal Hoskins helped to pull together the teams behind the project. He is publications and events producer for Wingedchariot, the company who launched the Bologna Children’s Book Fair digital brand last year. “It had occurred to me at the Future Foyles event back in 2014 that digital for them would be all about the real store,” he says. “There are now a good number of consumers who use it every day and the data back from it is very solid.For Hoskins as the app is “still in beta there is still much to do and add” such as an event recommendation engine that offers books chosen to link to with personal dates and purchase patterns, or even just related special offers, publisher extras and special previews viewable only on the screen of your mobile.He doesn’t see the fashion for human curation undermining apps like this – but rather like Apple Music they can work well together. Like Hoskins, Dave Fletcher believes that more can be added to it: “the multiple Wi-Fi points you need to support it in a large store could also track your location and recommend other books near you.” He would also like to do something with big screens around the store on which other bookworms can see what you are searching for, start a conversation with you or even ask you out on a date.. In the end, while large companies do like to keep their plans to themselves, introducing a revolutionary new app like the Foyles Book Search requires time, investment, the support of all the staff on the floor and in the boardroom. In January it was announced that C.E.O. Sam Hussein, who is widely credited with transforming Foyles, was stepping down and being replaced by Paul Currie, C.O.O. of Hamleys, whose mission is to grow Foyles digitally as well in bricks-and-mortar. 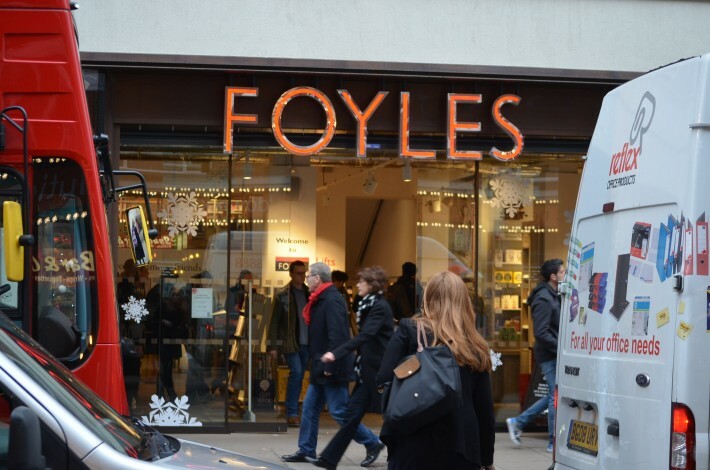 By some estimates the Foyles’ website contributes as little as 3% to sales. For Neal Hoskins, Foyles has to “decide the apps’ future in-store” but he finds it hard to imagine that there won’t be some kind of book search in Birmingham. The almost perfect end to a bestseller.